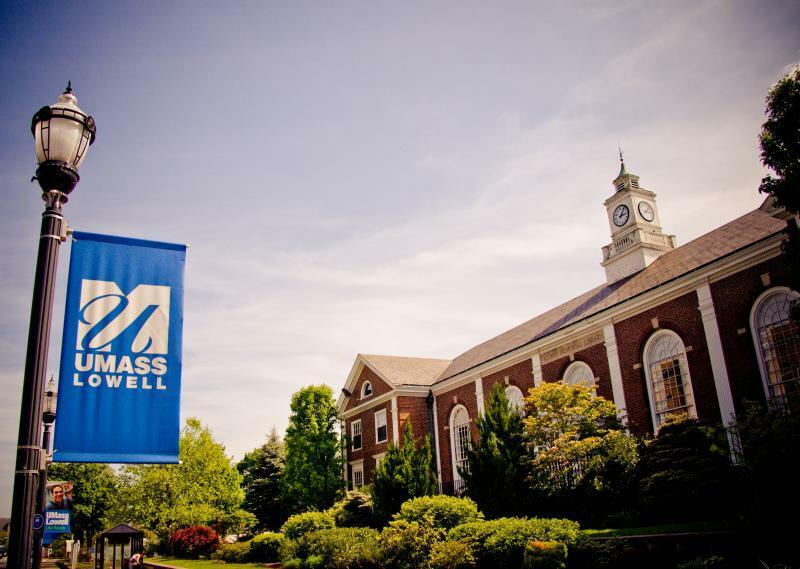 Situated in historic Lowell, MA, the University of Massachusetts Lowell offers meeting and event space easily accessible from Boston, Manchester and the Maine border. 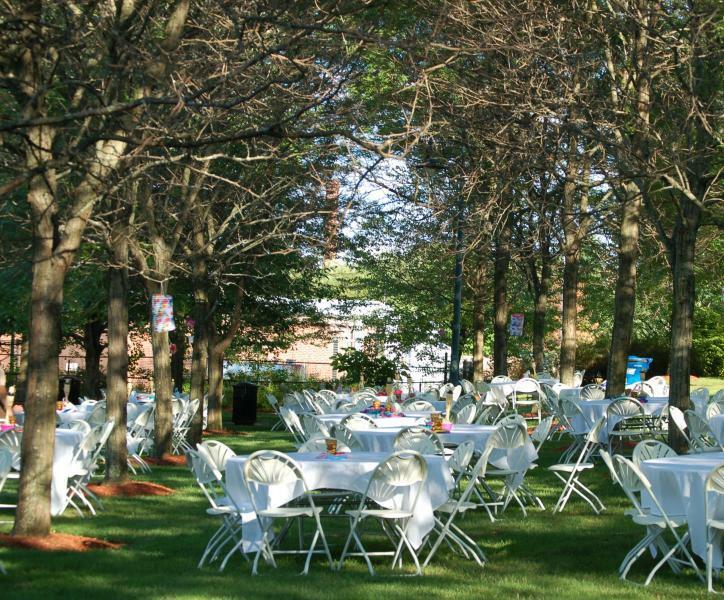 With on-campus amenities such as lodging, dining, transportation and entertainment, in addition to state of the art facilities and technology, UMass Lowell is the ideal destination for your next Lowell event. 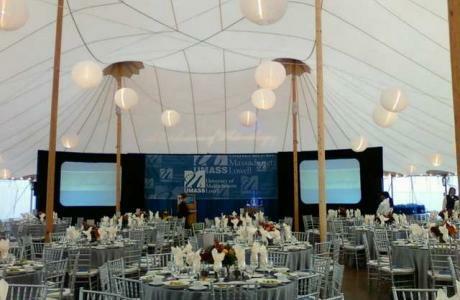 Specializing in events of all budgets and sizes! 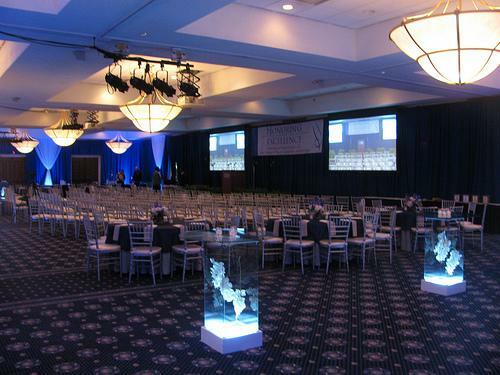 Watch the video below for more information on our incredible Lowell conference centers and banquet halls. 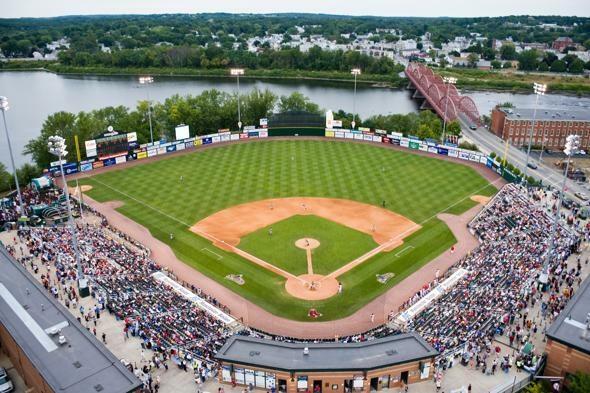 It will quickly be easy to see why there’s no better Lowell venue for your next event! In-house food and beverage available. Outside caterers welcome. 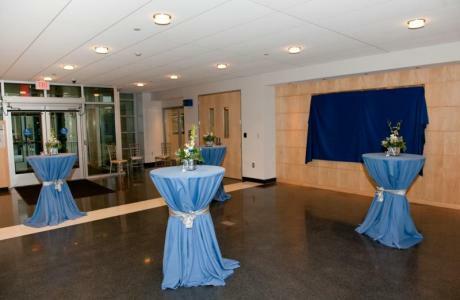 Tsongas Center Talon Club	 The Talon Club is complete with its own full bar and multiple HD TV's. It can be setup per your needs which can include hight top table bar style seating, set tables for a sit down meal, classroom style, or any other way that you may need. This is a great location for a private function or if you are looking for a unique meeting space for your company. 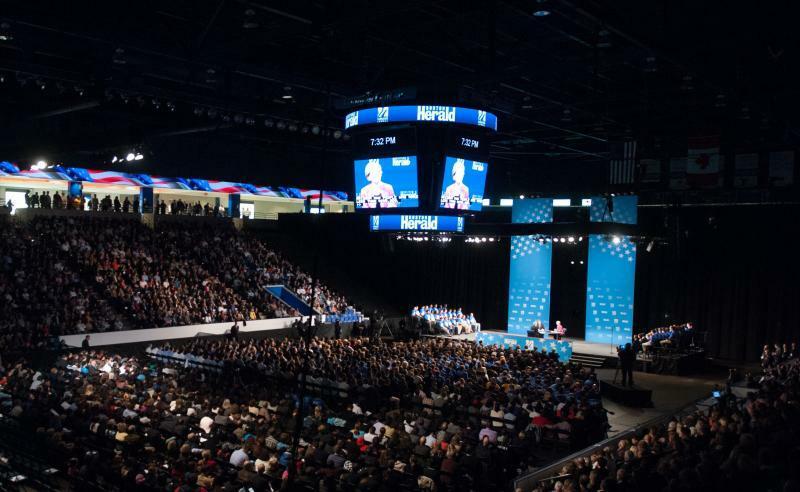 Tsongas Center Event Floor	 With a 17,000 Sq. Ft. 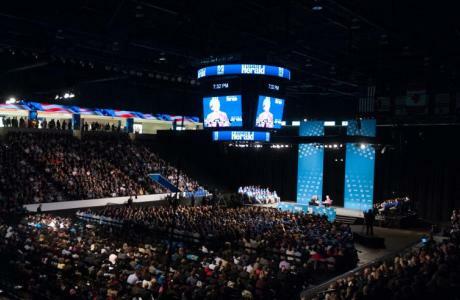 Floor the Tsongas Center can accommodate large and small scale events, whether it is a performance, trade show, or formal dinner. The floor layout can be customized to meet any clients needs. 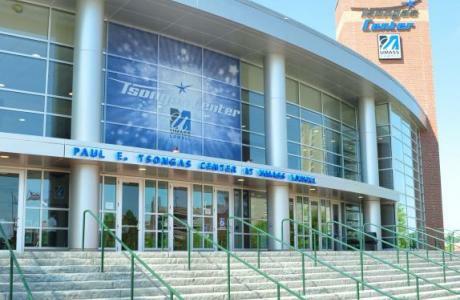 Tsongas Center Club Rooms	 Located on the concourse level, the club rooms are a great location for a pre-event reception, private catered party during a hockey game, corporate meeting, or seminar. The area can be utilized as one space at 1,618 Sq. Ft. or be divided into three smaller rooms (735 Sq. Ft.; 403 Sq. Ft.; and 480 Sq. Ft.) if that is what your event requires. 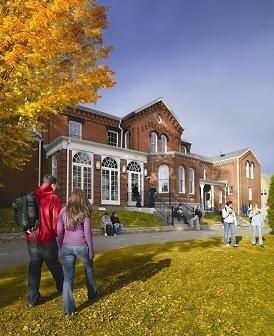 Allen House	 The historic Allen House, located on South Campus, offers over 1,600 square feet of event space, from the Spinola Art Gallery and Sitting Room to the Porch with a majestic view of the Merrimack River. Click here to take a tour. Alumni Hall Lounge	 The 2,100 square foot Alumni Hall Lounge is an elegant location on North Campus for a dinner function or panel discussion. 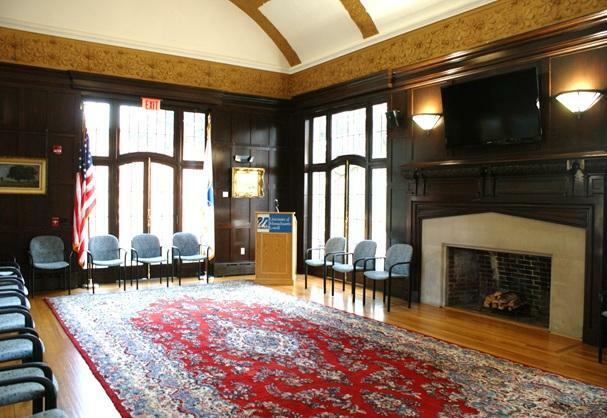 Click here for a tour of the room set up for a banqet. 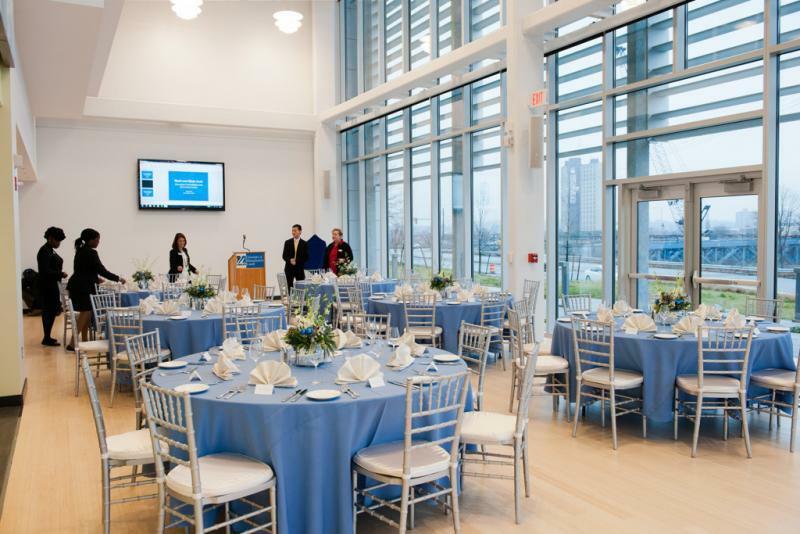 Bellegarde Boathouse	 Located on the banks of the Merrimack, the deck facility at UMass Lowell’s Bellegarde Boathouse provides some of the region’s most spectacular waterfront views. The rental area is the 2,000-square-foot deck overlooking the river. Click here to view a virtual tour. Cumnock Hall Auditorium	 Cumnock Hall Auditorium offers a general purpose facility on North Campus for conferences, performances, and dances for several hundred attendees. 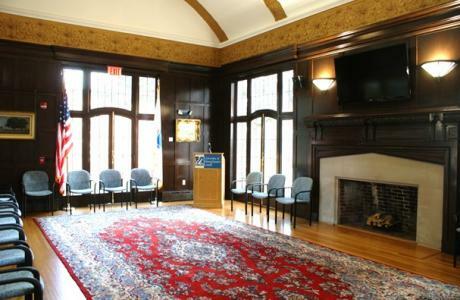 Cumnock Hall Trustees Room	 Offering over 1,100 square feet of meeting space, the Trustees Room is ideal for meetings, workshops, and teleconferences. Moloney Hall	 Located on East Campus/North Campus/Central, the Moloney Hall Ballroom can accommodate 360 Auditorium/Theatre style, 176 Banquet Style, 60 Classroom Style and 200 Reception Style. 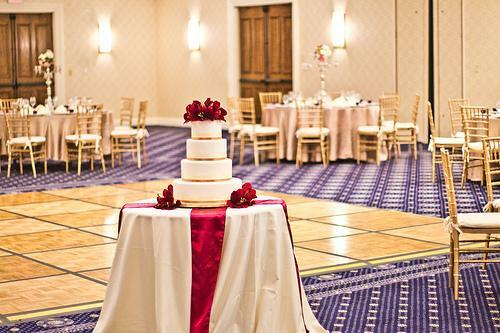 Click here for a tour of a Reception. Moloney Hall - Auditorium Setup Half	 Located on the East Campus/North Campus/Central, The Moloney Hall Side B can accommodate 45 Boardroom Style and 88 Banquet Style. Click here to view a Boardroom Style tour. 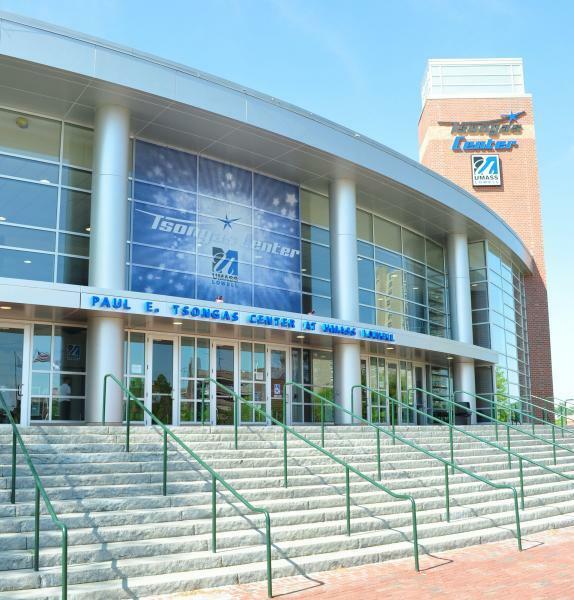 Tsongas Center Lowell Bank Pavilion	 The Lowell Bank Pavilion is a beautiful club area complete with a private bar, lounge, and bar seating, HD TV's, and a great view of the arena floor. 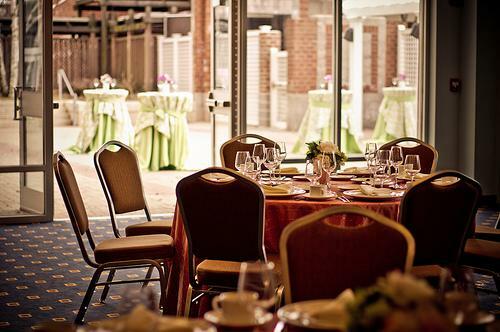 This is the perfect space for a group, corporate outing, or private event. 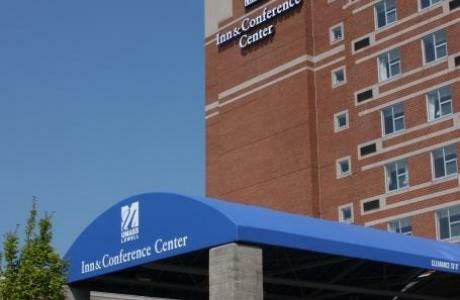 UMass Lowell Inn & Conference Center	 Located in the heart of downtown Lowell close to historical landmarks, event venues and a bustling downtown, the UMass Lowell Inn & Conference Center is the perfect spot for meetings, weddings, trade shows and other events. 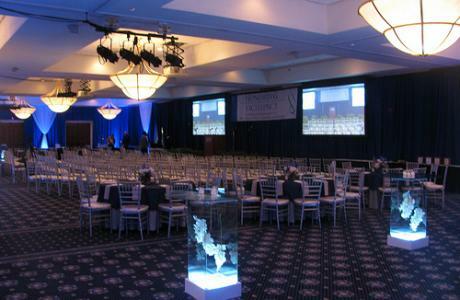 We have the largest ballroom in the area at over 6000 square feet, divisible into eight sections. The Lower Locks and Hamilton rooms offer additional space for up to 100 persons each. 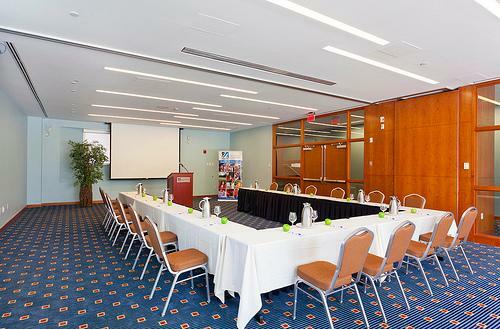 We have two executive boardrooms, each able to host 10 people comfortably. 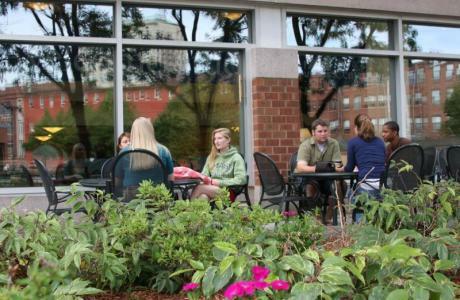 The Jr. Ballroom and Lower Locks patio offer additional space during the summer months. ETIC - Auditorium	 Located on North Campus, the Perry Atrium and Lobby - ETIC, have a capacity of 120 auditorium/theatre style. Click here for a tour. 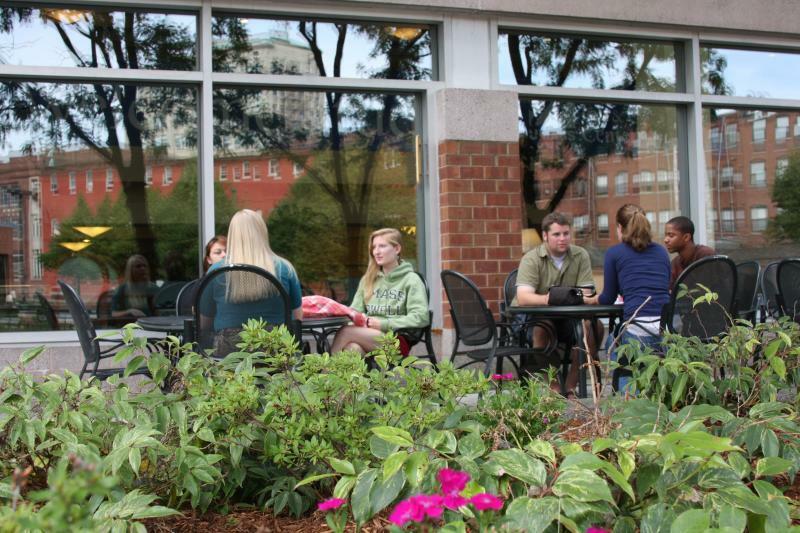 UMass Lowell is proud to have Aramark Food Services as the caterer for our campus. 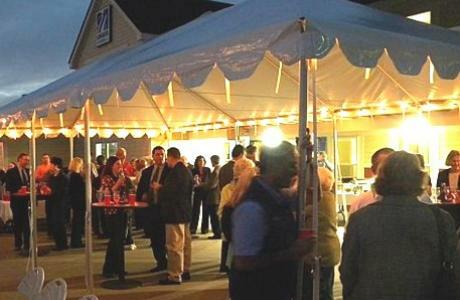 Aramark provides the highest quality food and service and is pleased to offer diverse catering options for groups of any size. 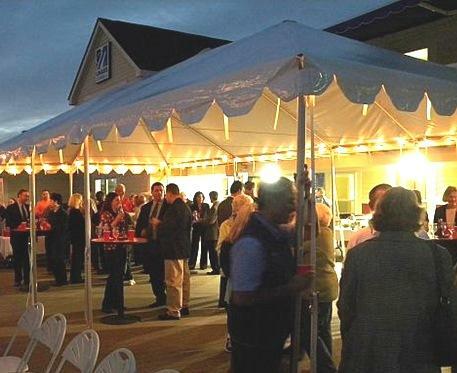 Our office has experience in planning a variety of events, from box lunches to banquets, and we will be happy to offer ideas and help you plan your menu. We are confident that your dining experience will be a memorable one for you and your guests. 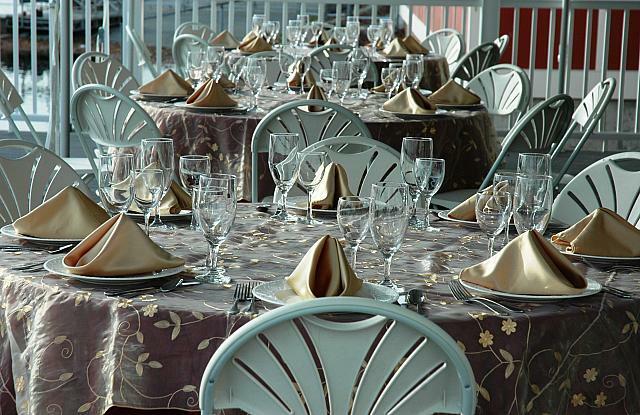 The UMass Lowell Inn & Conference Center offers full service catering for all your events. Using locally sourced, sustainable ingredients, the Executive Chef has created menus to fit almost any budget and palate. 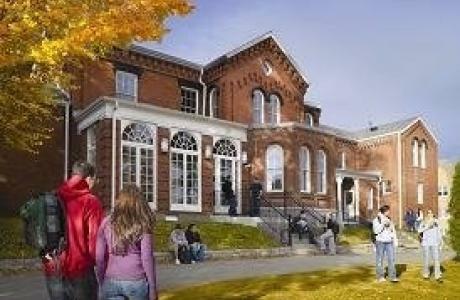 University Dining Commons is located on the 2nd floor of Fox Hall. This state-of-the-art, all-you-care-to-eat location features over 10 stations creating made to order meals with fresh, from scratch ingredients. Unwind with a cocktail in our fireside lounge, or dine in the canal-facing restaurant. 50 Warren features seasonal menus crafted by Executive Chef Tim Conklin and offers guests a fresh take on classic cuisine. 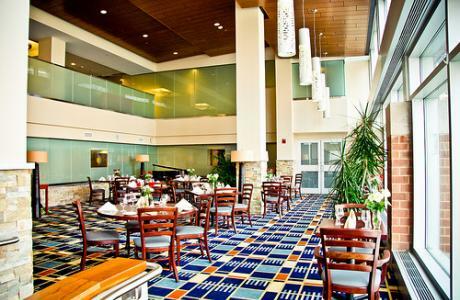 UMass Lowell Inn & Conference Center - Technology Complementary wireless high speed internet access is available throughout the facility and in all guest rooms. 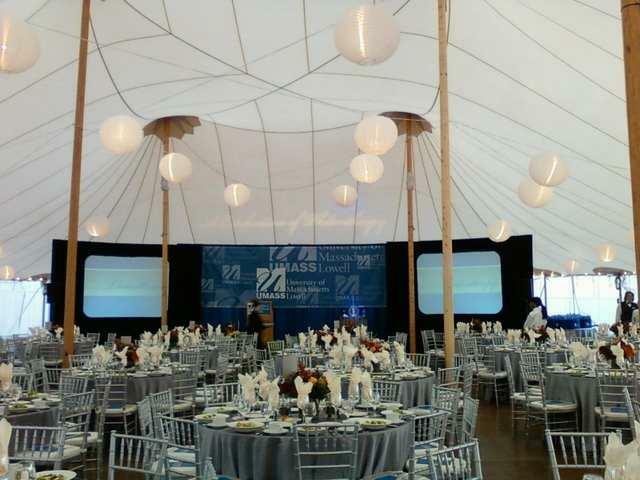 We offer a complete audio visual menu and a professional audio visual team to ensure that all of your presentations go off without a hitch. 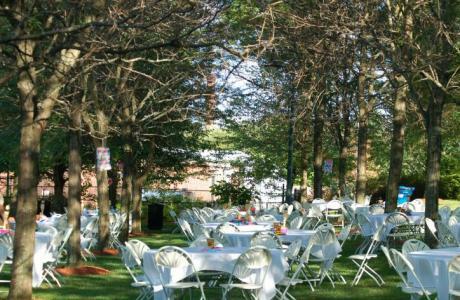 Area Attractions	 UMass Lowell Inn & Conference Center is within walking distance to the Lowell Memorial Auditorium, Merrimack Repertory Theatre, Lowell National Park, Boarding House park and a wealth of historical attractions. Beaches, Beaches and more Beaches! Close to the eastern sea coast there are a number of public beaches - Salisbury Beach, Salisbury, MA; Hampton Beach, Hampton, NH; York Beach, York, ME; Ogunquit Beach, Ogunquit, ME; Crane's Beach, Ipswich, MA; Good Harbor Beach, Stage Fort Park Beach, and Wingaersheek all in Gloucester, MA; Singing Beach, Manchester By the Sea, MA; Wells Beach, Wells, ME; all of these beaches are within a 60-70 minute drive (some are a little bit closer). 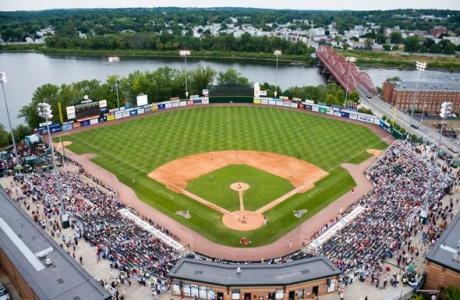 Six Flags New England, Agawam, MA	 New England's largest amusement park known for its roller coaster rides and all around family fun. The park also features an enormous and attraction-packed water park, Hurricane Harbor features the Tornado funnel ride, the Typhoon water coaster, Commotion Ocean and Monsoon Lagoon wave pools, three different family raft rides, Hook's Lagoon, an interactive water play area for young kiddos, and the usual water park complement of water slides. Best of all, the water park is included in the general admission price to Six Flags New England. I want to let you and your staff know that everything at our February 9th AMCOA Conference was perfect! The rooms were lovely, our tech needs met, and the food was amazing! 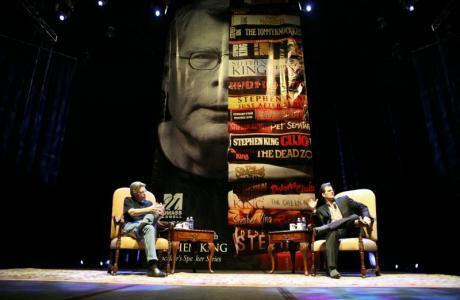 It was not your usual conference fare! Because there was a professional staff helping us at every step of the way, it made my job a lot easier and made the attendees feel welcome. I have gotten very favorable feedback from everyone that they were very impressed with the conference. Again, thank you to you and your staff! We could not have done it without you. Thank you for all of your help on Opening Day. 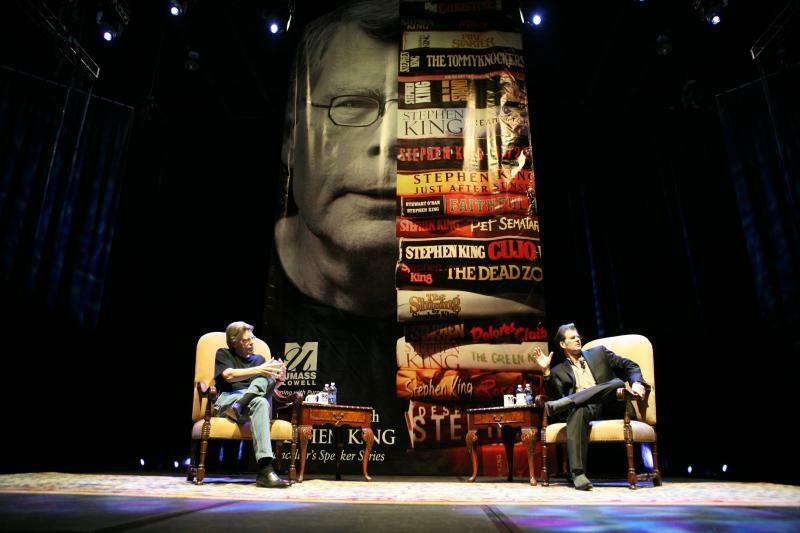 sure the event ran very smoothly. It was a very successful day with both events. 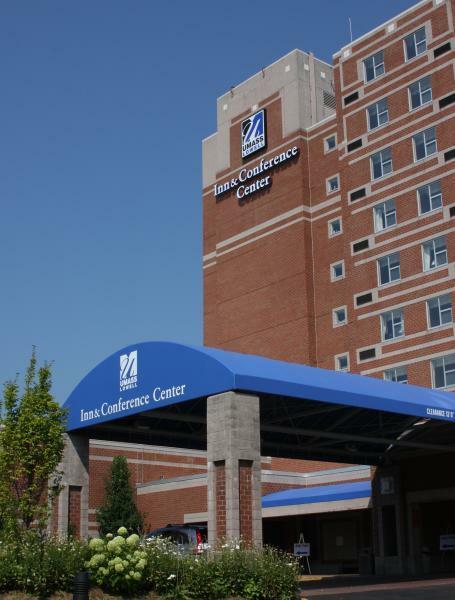 Wendy and I spent five nights at UMass ICC (July 4-8) and greatly enjoyed our stay. 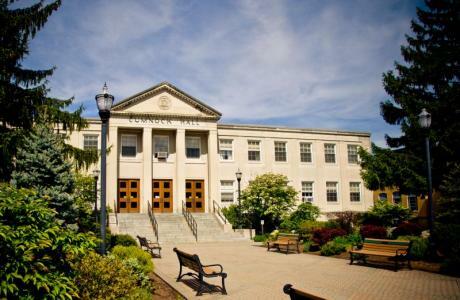 You have a clean, comfortable and friendly facility. 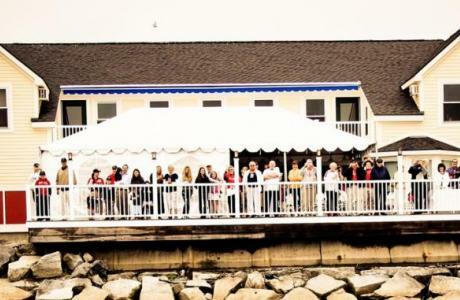 Your reception desk and restaurant are staffed by courteous and knowleagable people. Cassandra (front desk) and Wendy (restaurant) were particularly helpful during our stay. 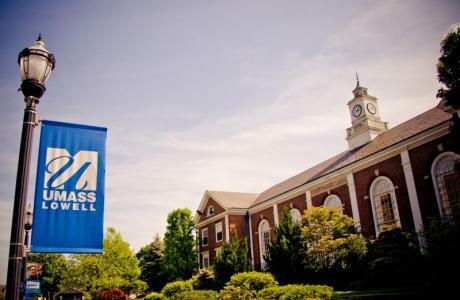 We will certainly recommend UMass ICC to anyone we know who is planning a visit to the Boston area.